One inevitability faced by any kind of business, whether big or small, is competition. If you don’t have any competition at the moment, then count your blessings. But if your product or service is a good one, you soon will. Not that competition is all bad. In fact, it can even help your business. First, it’s easier to get a decision from a customer when he has a choice between product A and product B rather than between product A and nothing. Second, competition keeps you always on your toes. Thus, your business can actually become better because of the competition. Your competition can help you, providing you know how to use it. 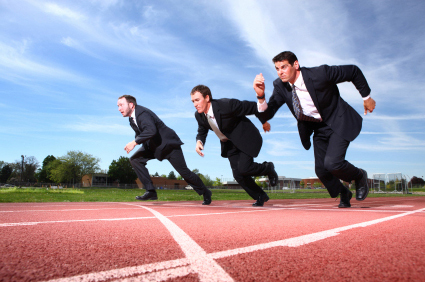 Here are ten ways to put your competition to work for you — and thereby beat them at the game of business! No matter how much you think you know about your product, it is possible that you do not know everything. By checking everyone else out, your own vision of the niche that you are trying to fill will probably crystallize. Get as much information as you can from your competitor — their product or service, price, location, promotion, management, and financial position. Usually, a home business has a particular specialty, an area in which it outshines its rivals. Your company may be first in quality, but your competition may have a better ad campaign. You may be ahead when it comes to service, but perhaps your competitor beats you in price. Go out and experience the competition itself. The result will be an important addition to your knowledge of the industry and of the business. Identify the Weaknesses of Your Competitors. Determine the strengths and weaknesses of your competitor through an exhaustive and critical examination of his literature, his products and services. The most effective way to evaluate a competitive service is to pose as a customer. Call and ask for job rates, delivery schedules, terms of payment, discount policies, warranties or guarantees. Evaluate your experience, from your initial contact to the conclusion of the service. You can also talk with the customers and suppliers of your competitor. Fish out important information such as defects in and dissatisfactions with what your competitor sells or makes. Once you know where your competitor is vulnerable, you can concentrate on the superior features that you have to offer. Get those vulnerable points down on paper, and then write your corresponding strong points beside them. If you do not have strong points in those areas, implement them; play these “trump cards” in your advertising. A careful examination of your competitor’s product and methods can help you determine your own soft spots — those points at which you are vulnerable. Knowing your weak points will force you to seek out ways to improve them or compensate for them. If they are subject to improvement — for example, poor service— you can take the extra time and effort necessary to rectify them. If they are not subject to improvement – -for instance, your competitor sells a product with a patented feature that you cannot duplicate–you can study your product and find a feature that cancels his advantage, one that you can put forth as a greater value. Understanding your weaknesses can point the way toward what will be unique about your business, and help you target what will benefit your customer. Find out what customers might find objectionable about your product or service. Even if they will not tell you directly, you might get a good line on their objections by paying close attention to the types of questions they ask you. Also, if you know customers of your competitor, ask them why they have not tried your product. Make a list of all objectionable claims and write down opposite them the facts to refute them. If you know a potential customer is seriously considering patronizing your competition, do not interpret that as your cue to give up. Rather, take it for what it is: a legitimate buying signal. The customer is interested in buying your type of product; your competition has done half of your work for you. All that remains for you to get the sale is to convince the customer that your product or service is superior. Know What Makes Your Customers Buy. Frequently, a customer fails to buy because a business neglects to mention the one consideration that weighs heavily with her or him. It is not always easy to figure out what that factor is, but there are various clues to look for. One of the best clues is what your prospect says about your competition. Often, a prospect will drop references to your competitor that are almost as good as a blueprint of his particular desires. For example, if the prospect mentions that Competitor A offers a similar product for less money, then you know that this prospect’s hot button is money. That is your cue to either come down in price, if you can, or point out how your product will save him more money in the long run. Be Enthusiastic and Self Confident! Whenever you find your enthusiasm waning for your own product line, visit the competitor. Make a critical comparison between products. By the time you leave, you may be enthusiastically resold on your product. This enthusiasm will carry over to your advertising and, ultimately, your customers. Frequently, a prospect is undecided between your product and that of a competitor. Your job, then, is to tip the scale in your favor. One man who owns a home-based advertising service devised this approach: He hands his prospect a pen, lays a sheet of paper in front of him or her, and says, “Here’s a list of what you’ll get from our service. Would you mind checking off the things you will be getting from the other source you are considering?” Aside from learning a lot about his competition through this technique, this man subtly forces his prospect to make his own comparison between the two services under consideration. Every businessperson should learn from his or her mistakes, but you can also learn from the mistakes your competitor makes. Maria runs a house cleaning service and received a call from a new customer requesting their service. This household had been using one of Maria’s competitors, but became dissatisfied with the other company’s service. The new customer complained to Maria that the competitor did not come every week, as contracted, and neglected to clean some areas of the house — in other words, they did a slipshod job. Not only did Maria win the contract, but she also became more diligent about serving her other customers, learning that a less than excellent job could lose clients. Maria’s competitor helped Maria’s business a great deal. Be on a Lookout for Good Ideas. Good ideas are everywhere, if you know where to look. If it is true that you can learn from a competitor’s mistakes, it is equally true that you can cash in on a rival’s successes. This does not mean you should be blindly imitative. It does mean that you ought to be alert to ideas that can stimulate your own thinking. How, precisely, can you adapt Competitor A’s successful use of direct mail? 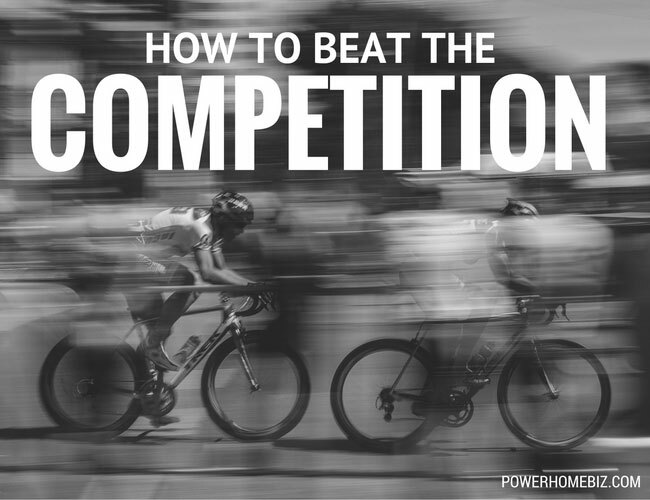 How does the competitor’s website look and feel, and how does it differ from your website? Have you checked < href=”https://www.powerhomebiz.com/marketing-tips/competitive-analysis/trade-shows-competition.htm”>trade shows that your competitors are likely participating in to see their offerings? Do you have a sense of the quality of customer service offered by your competitors? Questions like these will stir your own creative juices, and some of the answers will amaze you. A new look at your competition as described here will prove what some business people have always known: competition, properly harnessed, can work for–not against–you.